A store in Tokyo is filled with unique finds .. most in Japanese and indecipherable to the gaijin. 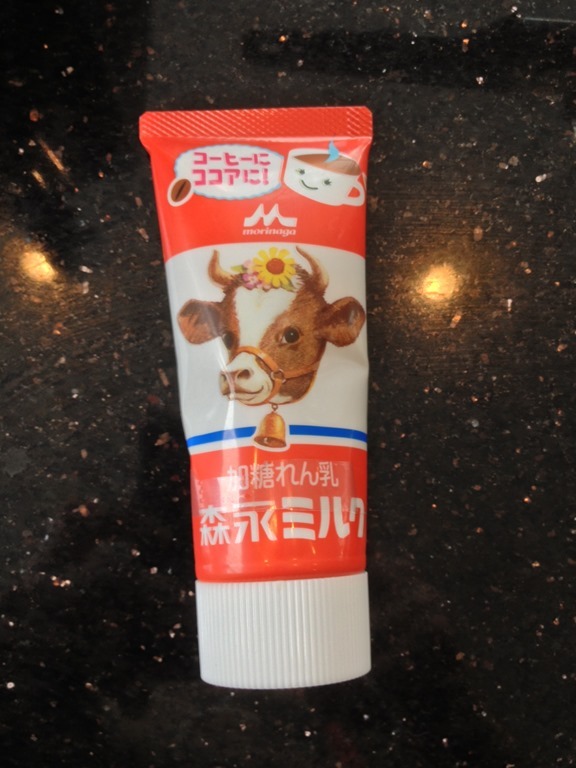 Condensed milk in a tube. Purchased to make a Vietnamese coffee at home. 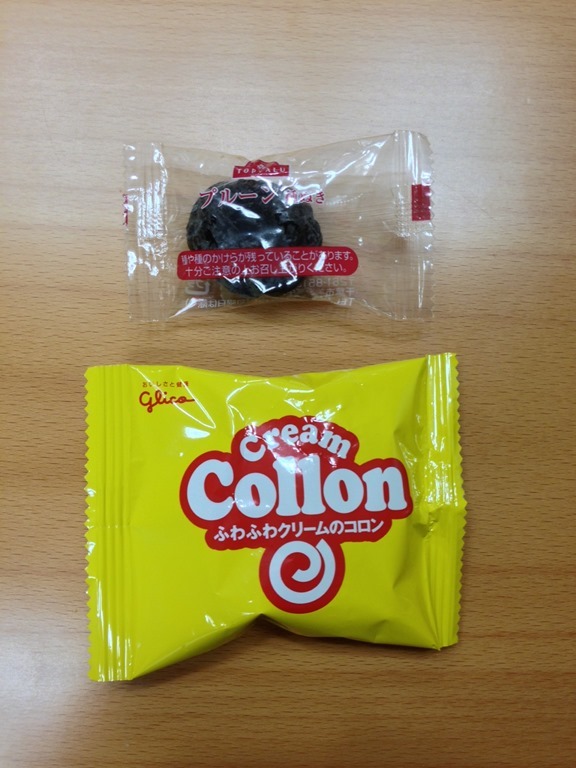 An individually wrapped prune goes well with your Cream Collon (tube cookies with a creamy center). You can’t make this stuff up. I was speaking with someone about how healthy Japan is. But a fellow in pharmaceuticals said that the cholesterol and diabetes drug markets are growing rapidly in Tokyo. This is why; the only thing I will eat in McDonalds is an egg mcmuffin but I won’t eat that. Obesity on a bun. 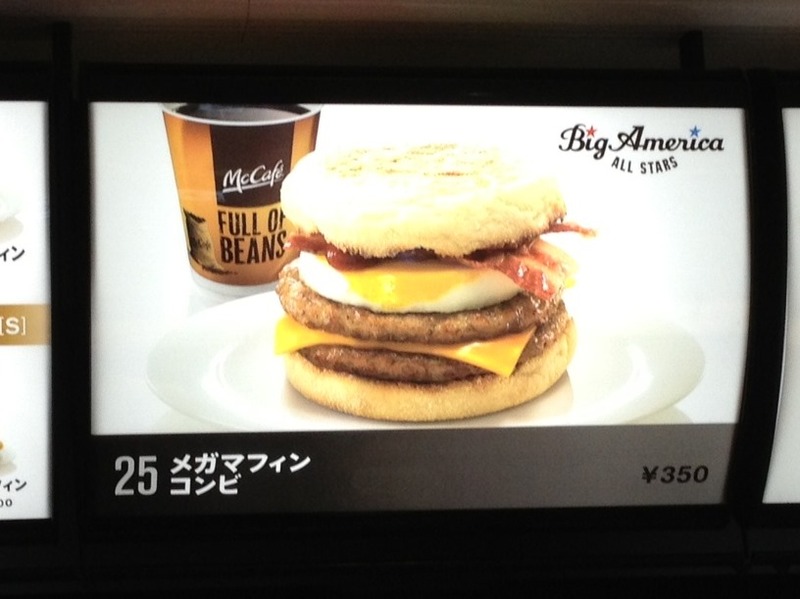 Hey McDonalds, “Big Canadian” could go there too (unfortunately). 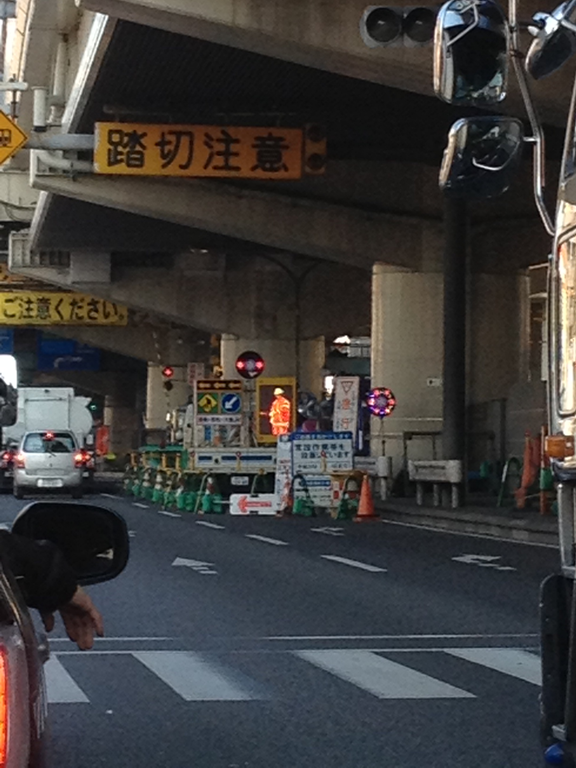 In Tokyo there are safety men everywhere. I mean everywhere, with their hands waving to ensure you don’t crash into a truck or workmen or any of 1,000 other things going on near the roads. But automation is on the way …. A bit hard to see, but the LED safety patrolman. 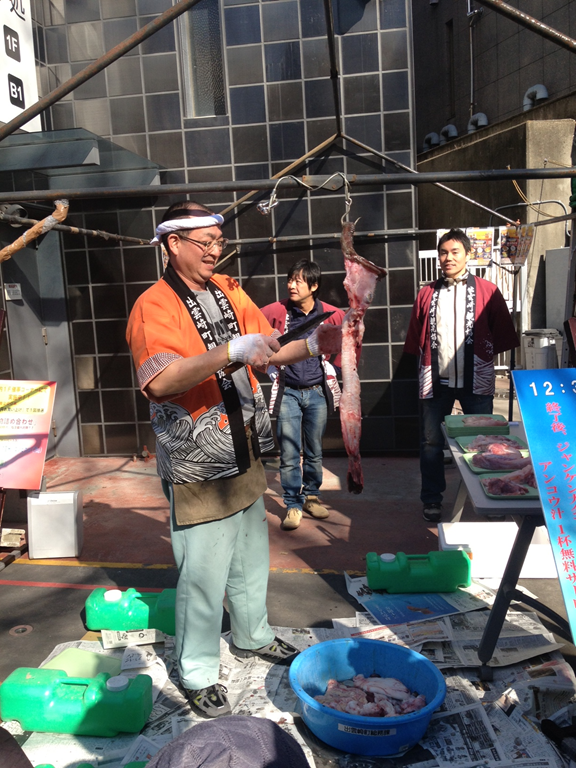 A butcher skinning something on the street. What is it? No idea, but he had a big crowd. You never know what you will see next. Update: adding one more. Sitting in the doctors office I saw an add for this brand of baby diapers. This entry was posted in Our Asia Adventure and tagged Expat, Gaijin, Japan, Tokyo by michaelweening. Bookmark the permalink.